It’s true . . . I’m a duck. Most people think I glide through life with barely a ripple but what’s happening beneath that glass-like surface is a fury of paddling feet. And that’s definitely been the case since January 1st. I claimed 2019 as MY year of reinvention months ago and I’ll be darned if I let my prediction fall short. I started the new year with a bang and refuse to let up. I renewed my membership with Sisters in Crime, national and the Tucson chapter. I’ve applied for and was AWARDED an educational scholarship from national to help defray cost of attending Writer’s Police Academy’s first ever MurderCon held at the renowned SIRCHIE facility for forensic and crime scene investigation in Raleigh, NC. But that’s not all. I’m signing books again this year at the prestigious event, Tucson Festival of Books. You can find me on Saturday, March 2nd at the Sisters in Crime booth from 1:30-3:30 pm. I’ve also developed three new seminars and have gotten some good “bites” for presentations in 2019. More news to follow on that one but if you could use a fun, user friendly hour to learn or refresh skills on these topics, let me know. I’m still offering my crowd pleaser – Gold, Ghosts and Gravel Roads – a delightful journey through some of the more curious places I’ve traveled as an RVer. It’s especially fun for those who enjoy paranormal pursuits or treasure hunting. 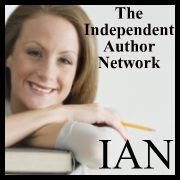 Most new and mid-list Indie authors simply don’t have the budget or time to create appealing websites and book covers. Trust me, I KNOW! That doesn’t mean you can’t present a professional image to the public with minimal training and investment. In this era of brutal mass market competition, snagging a reader’s attention is increasingly more difficult. Let me help! I learned the hard way and can show you how to avoid some of the pitfalls. I’ve saved the most exciting news for last. After a 2 year hiatus from publishing . . . I’m back! March 1st will see the release Book 2 in my humorous DEAD MEN cozy sleuth series, featuring southern caterer/psychic sleuth Daisy O’Connor. In DEAD MEN CAN’T DANCE, Daisy finds herself knee deep in trouble with both the county sheriff and Deputy Chief of Tribal Police, John Greyhawk. Her penchant for little white lies, disregard of the law, and bloodhound approach to crime solving are a sure recipe for trouble when a murder victim asks for help. As Daisy sticks her nose into police business, the ghost issues a warning, “another will die”. The only question is, will it be Daisy or someone else? Summer will see the release of a new genre for me. Temporarily named THE DEAD DO NOT LIE, this dark thriller follows the emotional and mental collapse of a disaster inspector who witnesses too much corruption and fraud. I’ve created a realistic view of post disaster chaos, gleaned from my many years as a contract disaster inspector. While the story is purely fictional based on a “what if” moment of inspiration, the elements of strife and grief are real. I think it will be a good read. I hope you feel the same. Summer also brings a much needed break in my professional life. I’ve hired the most amazing personal assistant to help with social media, book tours, and keeping me organized. She’s a school teacher so you KNOW she can multi-task! And just in time because we are buying a house. It’s located in an obscure part of southern Arizona but close enough to Tucson and Phoenix for those big city getaways and writer’s groups. We’ll still travel off and on but our “stuff” will be planted in one place. I’m excited . . . and nervous. My gypsy spirit is crying, “No, no!” but my old bones are saying, “Maybe it won’t be so bad.” We’ll downsize from the fiver to a small travel trailer more suitable for dry camping and the back road excursions I so enjoy. In the meantime, expect a lot of remodeling photos throughout the year! That’s it, folks! I’ll keep you posted on new happenings as they happen. Exccellent. Looks like you will be very busy. I wish I knew how to writ that as if Elmire Fudd was saying it. Hope to see you soon.